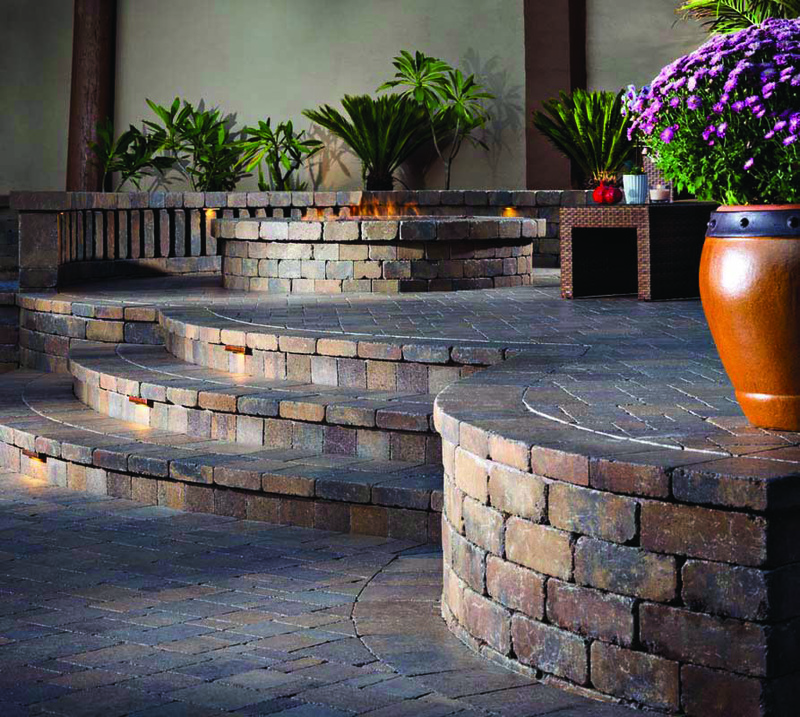 As one of Superior's main suppliers, Belgard offers a multitude of possibilites of projects with a variety of materials to fit all your criteria. To learn more about these materials and what they mean to the success of your home improvement project, read on. This everlasting look is an ideal upgrade to your property's landscape. 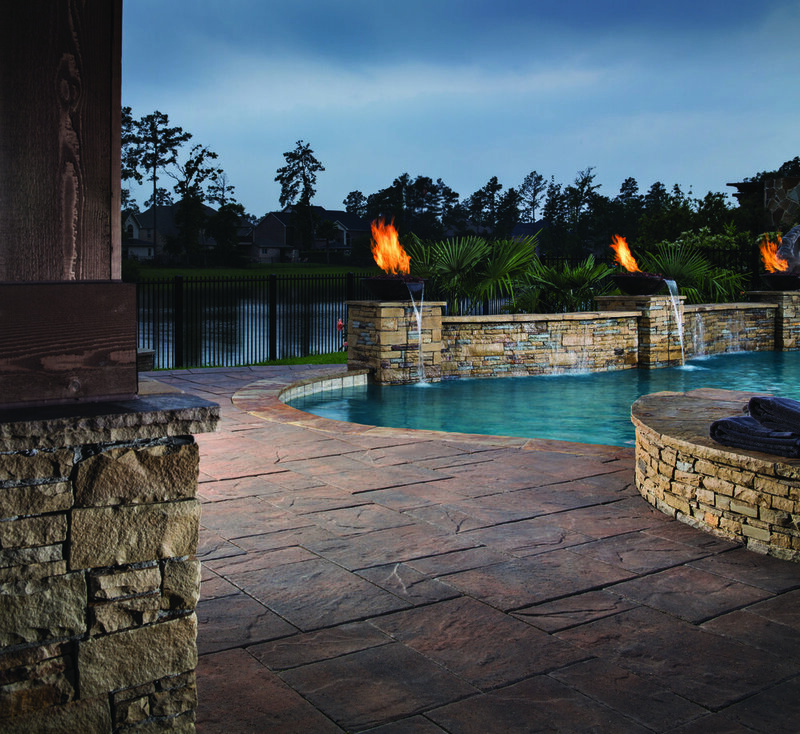 With four colors to choose from, it is no wonder Belgard has this paver under its Classic Collection. Click Bergerac for more. If you're looking for a flexible layout that maintains the sophistication and aesthetic you desire on your property, look no further. Click Bergerac Circle for more. With its utility and subtlety, this paver can help you get to the next level of home improvement. To see more about this paver, click Cambridge Cobble. This 3 piece system paver gives a great look and texture for those looking for look of slate in their hardscape. This paver can also be used for borders along your walkways. To learn more, click Catalina Slate. For a soft texture and warm color feature in your backyard, walkway, or driveway, check out Dublin Cobble. Whether you're interested in a small, open design or a large focal piece in your landscape. Click Dublin Cobble Circle for more. With its signature dimples and two different packages, this paver can bring you rustic beauty while creating beautiful patterns on your property. To see more click Mega-Bergerac. Looking for a classic, international feel on your property's landscape? Then this paver will give you that feel everyday when you come home. Click Old World Paver to see more. This permeable paver can withstand any vehicle on it while being eco-friendly and ADA compliant. To see more, click Aqua Roc. If you want a more environmentally efficient paver in the Dublin style, this run off friendly stone is perfect for you! To learn more, click Eco Dublin. If you want a hybrid definition of "concrete jungle", then this stone is the right one for you! Upgrade your landscape with Turfstone today! Click Turfstone for more. This paver comes in a 3-piece package in order to entertain a variety of patterns in any area of your property. To learn more, click Lafitt Rustic Slab. With an unpredictable shape and beautiful texture, this paver can help bring some well wanted to your property during your next gathering! To see more, click Mega-Arbel. Known for its most realistic look, this paver can bring a timeless look to build your property's value and appeal. Click Mega-Lafitt Slate for more. 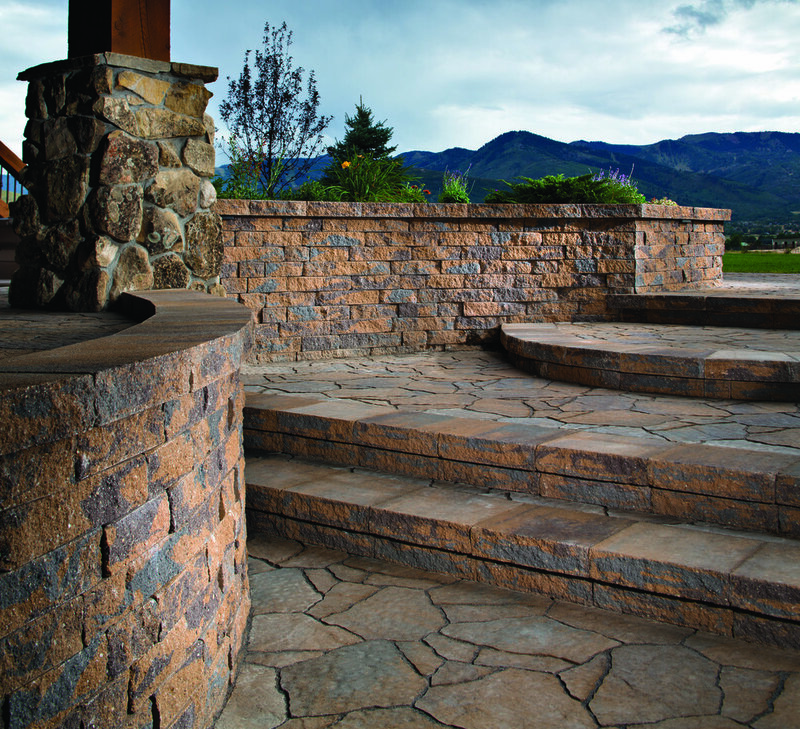 This stone's definitive style and feel provides an artisanal air to any backyard, walkway, or patio on your property. Click Urbana Stone for more. Coming in 3 different packages with several different colors and blends, this stone can maintain a moderate amount of vehicular pressure while being ADA compliant. Click Catalina Grana for more. These crisp lines and rectangular shapes can help mix contemporary and timeless sentiments into one beautiful outdoor masterpiece. Click Holland Stone for more. With a polished looking finish and innovative design, this paver is the definition of more is less. Click Lafitt Grana Slab for more. If you're looking for more of a tumbled, yet smooth finish in stone look no further. Click Mega-Lafitt Grana for more details. For large landscapes with a modern style. To boost an old look into today. Click Moduline Series Plank for more. Whether its a blend of color or solid texture you're looking for, this lightweight paver is for you. Click Ardesie for more. For an elegant look that transforms your landscape to that of a resort, then look no further! To learn more, click Espirit. For a light and open feel throughout your home and outdoor areas, Quarziti 2.0 can help you out. Click Quarziti to see more. 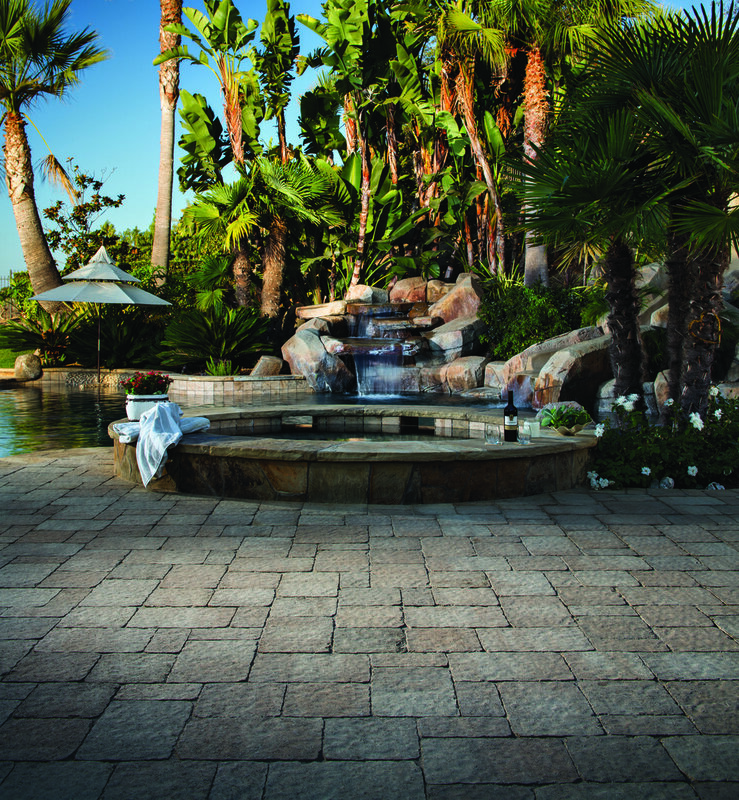 For a blend of marble, texture, or dapple this porcelain paver can complete your landscape desires. To see more, click Na.me. To create a broad landscape that many can enjoy and feel at ease in, use Stones 2.0. To learn more, click Stones. If you're looking more for a rustic, wooden feel these pavers will bring that aspect to your home. Click Sundeck to see more. For a rough and adaptable look around your home's landscape, Anchor Diamond can bring your property to a different appreciative level. Click Anchor Diamond 9D for more. With 5 different applications, Anchor Highland provides the most opportunities for design and style on your property. Click Anchor Highland Stone for more. For a clean and captivating look, Castlemanor will bring the attention both you and your home deserves. See Castlemanor for more. With 5 different applications and beautiful earthy blends, bring harmony to your landscape with Belair. See more Belair. For audacious color and brilliance, Celtik can ensure your property receives praise. See Celtik for more. Bring texture and color to broad landscapes with Mega-Tandem. Click Mega-Tandem for more. Be bold and daring, like Tandem with its ingenious design. Click Tandem to find out more. As standing ovation pieces in a different format, Tandem Column can make sure your landscape fits your dreams. Click Tandem Column for more. One rustic look with a multitude of styles and applications. Add some finesse to you property with Weston Stone. See Weston Stone for more. So you can make that fresh brick oven pizza at your leisure. Click Belgard Brick Oven for more. For an elegant stone that strays from the ordinary. See Bordeaux for more. Simplicity, affordability, functionality all in one beautiful fireplace. See Brighton for more. Tumbled, blended, and practical. Let Bristol be your fireplace focal feature. See more Bristol. With an even and foreword composure, this design is perfect for outdoor tables and more. Click Tandem Modular Grid for more. Because nothing accentuates the flowers and greenery on your property more than a proper edger. See Anglia Edger for more. Because everyone sits at the edge of the pool. Make sure they can appreciate it. Click Bullnose Coping for more.